Vārti montējami telpas iekšpusē pie ailes un neaizņem vietu pirms garāžas. Sekciju vārtus iespējams iemontēt arī garāžās ar nestandarta pacēlumiem. Var aprīkot ar automātiku. Pieejama ļoti plaša krāsu gamma! PRIME vārtiem ir atšķirīga siltumizolācija, pateicoties tam šos vārtus, ar pinu pārliecību, var ieteikt energotaupīgiem un pat pasīviem objektiem. PRIME- tā ir atbilde uz nepieciešamību palielināt ēkas energoefektivitāti un samazināt siltuma zudumus. Lai sasniegtu šādus vārtu raksturlielumus, vajadzēja panākt viszemāko siltuma pārvades koeficientu. PRIME vārtu ražošanā pilnā mērā tiek izmantoti INNOVO paneļi un piemērojamo blīvējumu sistēmu siltumizolācijas īpašības, novēršot siltuma zudumus visneaizsargātākajās vārtu plātnes vietās. PRIME does away with safety stereotypes. 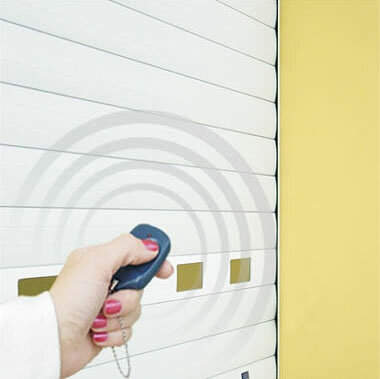 It is not simply a vision of a high aesthetic garage door, it is also our reflection of care for safety. PRIME is an end-to-end approach to safety and security: we have applied the technology not only to protect, but first to prevent hazards. 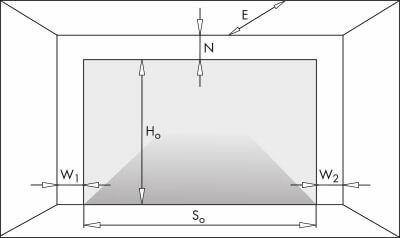 The numerous advanced safety systems of the structural parts and mechanisms help protect all users and make your home a safer place. With a perfectly integrated drive system, PRIME is a technological precursor every detail of which demonstrates the inextricability of quality and safety. PRIME is universal aesthetics with a sense of comfort, high value and modern luxury. That is how PRIME defines the new design philosophy in its class. The PRIME design has the key features which can be defined as minimalist on its own - clean lines and a synthesis of form, both of which reflect the aesthetic attitude of modern architecture. The PRIME form seemingly becomes a background. 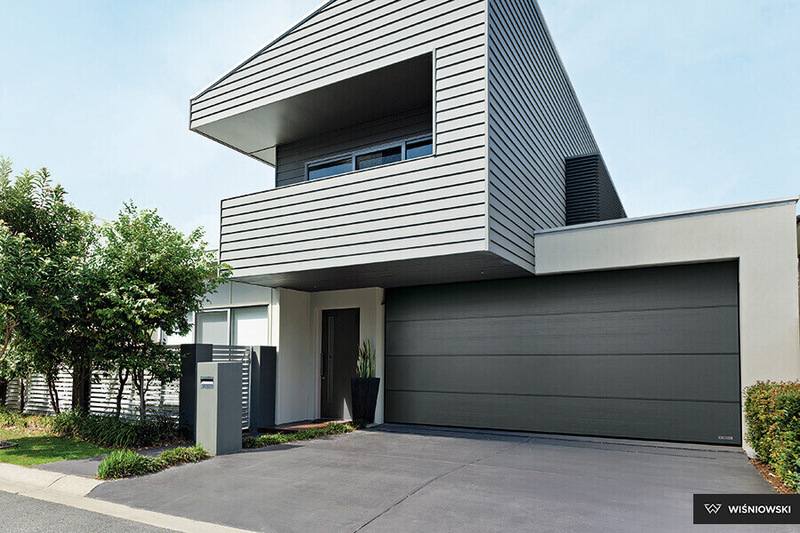 With a perfect internal design, the sectional door surprises with state-of-the-art engineering solutions and the wide gamut of finishes which conceal the moving parts. Each detail has been flawlessly perfected to confirm the conceptual continuity of the design time and become the absolute essence of design. PRIME is unparalleled, and its classic design lines are just a hint of what the smartly designed interior of the door hides. Be the first, be PRIME. 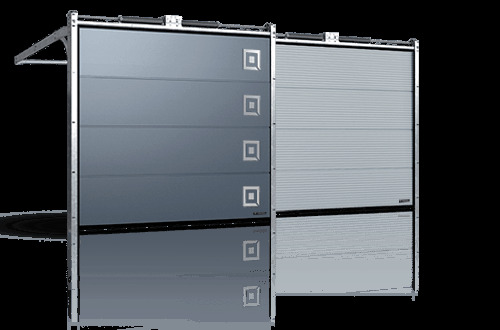 Learn the genuine advantages of the unique PRIME door! 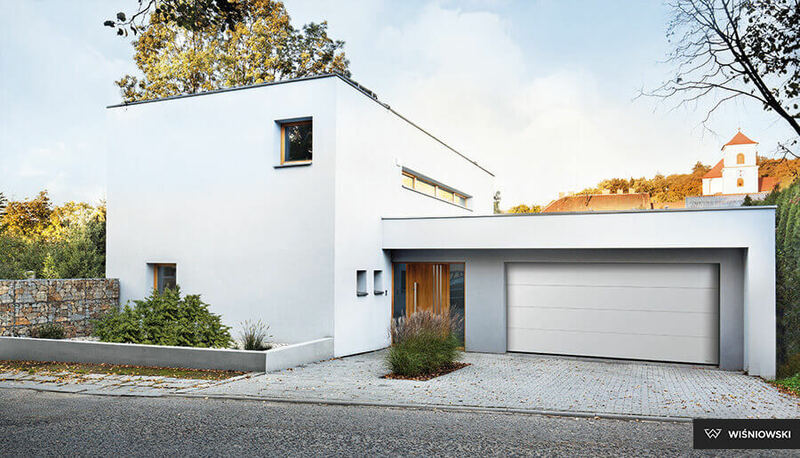 Imagine a new-generation garage door. 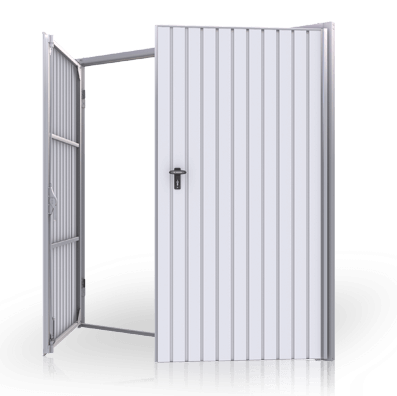 A door which is not a conversion of solutions to date, but a creative effect of a quest for the balance of state-of-the-art technology, quality, safety and design.. 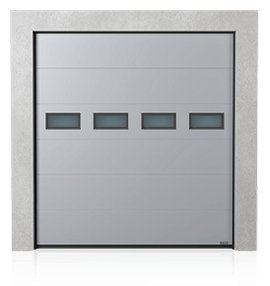 This is what the PRIME door is: innovative, perfected in every detail, and meeting your demands even before you can define them. It is a fully equipped and automatic door that will make you confident of the best choice there is everyday you reach for the remote. 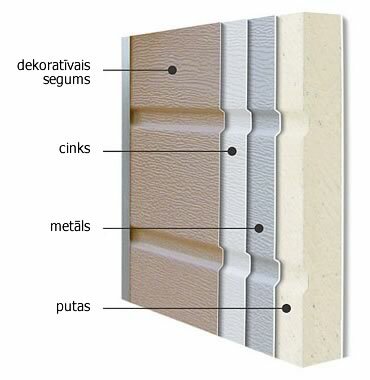 INNOVO 60 mm panelis - augstas rievas "W"
INNOVO 60 mm paneļi - gludi, bez rievām "G"